Being Intentional With Integrity - Balikatan Ng Mga Kristiano, Inc.
Balikatan President’s Greetings and Challenge for 2018! "To do what is right and just is more acceptable to the Lord than sacrifice." On behalf of the Balikatan Board of Directors, I send our greetings and most sincere prayers for you and your loved one this 2018! As one big family, we’ve continued to traverse continental and demographic divides to demonstrate His care and compassion to one another – encouragement of which was palpable last year. Looking back at 2017, it’s humbling to see the distinguished achievements God has bestowed upon us. These include: the three highly successful Regional Conferences (all held for the first time), the extraordinary prayer support and financial provisions for IVCFP (beyond what we thought we could provide), and His special blessings on the revitalized Balikatan Trust Fund (which has now begun to bear fruit for our needs)! And so we run forward to 2018, eager to fulfill even greater pursuits with Jesus at the helm. Our 30+ years of ministry has proven to us that no matter the challenges, no matter the distractions, if we remain in the center of His Will, He will continually multiply our impact for the Glory of His Name. AND so, your Board had our first meeting of 2018 on January 6th. In addition to our core mandates of strongly supporting and promoting IVCFP and the AIM, enhancing our relationship with the IVCFP Board of Trustees, and ensuring a fiscally sound Balikatan all around, the following specific priorities became quickly evident. 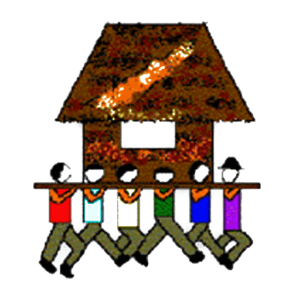 First, Balikatan needs to establish the Steering (Planning) Committee for the monumental 2020 Balikatan General Conference in the Philippines. This group of nine would have members with specific skill sets and experience, valuable to the planning and execution of an event this size. They would also represent key units of Balikatan stakeholders in North America as well as IVCFP and alumni in the Philippines. Out of this committee will come the 2020 Conference Director, whom the group will select among themselves for Board approval. The goal is to have this committee up and running as early as January 2018 because there is much research, planning and execution to be done, all second only to establishing seasons of prayer and intercession to discern God's Will for that conference. Second, Balikatan must reinforce the Membership Committee. Our movement lives and breathes through YOU - our members! In view of the many important decisions and ministry initiatives for 2018, it is vital that we buttress the cultivation and strength of our membership and affiliates. We can only continue to be effective if our members continue to find value in their engagement with our missional priorities. On this regard, I reach out to all of you, both veterans and new bloods alike. 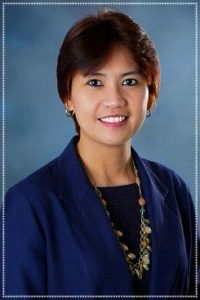 If you have the expertise, interests and insights into developing innovative interpersonal and corporate relationships, and nurturing membership experience for both IVCFP alumni and friends, please pray and touch base with Ate Lina Hervas-Blair (Membership Committee Chair) or I by emailing [email protected] We would love to hear from you! Balikatan will recommission the Constitution & Bylaws Committee. As the ministry life and outreach of Balikatan continue to grow and thrive, it is our responsibility to ensure that our undertakings and founding principles/documents are in step with each other. With humble hearts and prayerful minds, seeking God's desire and direction upon our organization, Pastor Amador Jojo Remigio and Kuya Landy Ancheta will lead this committee to ensure the best is yet to come - both in principle and function - for Balikatan's ministry. As I close, I would like to challenge all of Balikatan to contemplate on the virtue of INTEGRITY, and allow it to be our defining characteristic for 2018. An attribute that has become OH.SO.RARE in this day and age, it is defined as the resolve to stand firm on the non-negotiable, non-compromisable moral and ethical principles of God’s righteousness, no matter the pressure, temptation and persecution. It is the attribute of being above reproach, being true to our word so that what we believe, think and say are directly evidenced by the nature of our work. 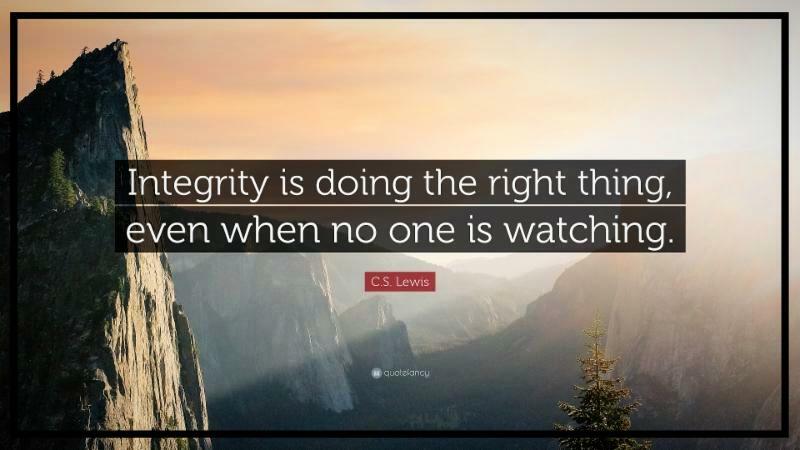 Integrity requires us to be honest, and to do what honors God even when no one is looking (we know God always sees!). In our society and culture that has become replete with plurality of truths, i.e., truth is personal & arbitrary; you cannot impose your “truth” on me, our children are being born, and are growing and absorbing this Devil’s deception! Moral leaders who fully depend on God to maintain integrity in their lives have become few and far between, even within the church! I pray for us Balikatan. I implore upon each of us to recommit ourselves to the absolute Truth of God’s Word, and never waver from it as the very foundation of our attitudes, behavior, decisions and actions. The world is desperate for men and women of integrity, and I hope our organizational family – founded in His mission – would remain an unequivocal institution of this virtue. That in the eyes of our children and the next generation, Balikatan’s family members – new and veterans alike – are epitomes of Integrity, and are thus worthy to emulate. MAY GOD ENGRAVE THE VIRTUE OF INTEGRITY INTO OUR HEARTS IN 2018!